The University of the Fraser Valley is wrapping up the 2017/18 Season of Theatre with the Emerging Directors’ Showcase. This is the final project presented by UFV Theatre’s fourth-year directing class and is a chance for students to apply everything they have learned in the course. In the HR Office by Damian Trasler. Directed by Cameron McKercher. Ketchup by Bruce Kane. Directed by Jessica Karroll. Love is Blind by Andrew Bawn. Directed by Emilie Poirier. Frog Loves Christy by Ann Wuehler. Directed by Beth Caldwell. The Happy Hornbill by Revelly Robinson. Directed by Chris Taylor. Salmon Tribunal by Walter Wykes. Directed by Emily Eggert-Botkin. Seven Minutes by Amber Kiara Mitchell. Directed by Deanne Ratzlaff. Audiences will get to see all seven shows (approximately 10 minutes per project) back-to-back at each performance time. 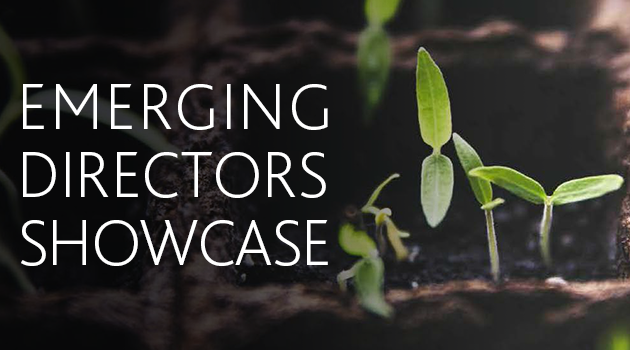 The Emerging Directors’ Showcase runs April 25 & 26, at 2 pm and 7 pm. More details about performance dates and times can be found at www.ufv.ca/plays. The Emerging Directors’ Showcase is pay-what-you-can, cash only at the door. Seats can be reserved ahead of time by emailing theatre@ufv.ca or by phone at 604-795-2814. Performances will take place in D105 on UFV’s Abbotsford campus. The Showcase will not be the end of the student’s experimentation; audiences can watch the same plays in site-specific format on April 27 at Abbotsford campus as part of Interpret, UFV’s first Creative & Performing Arts Festival. UFV Theatre offers a season of three main stage productions, and the Emerging Directors’ Showcase. All UFV Theatre productions cultivate professional standards of practice and performance and offer a variety of opportunities for students to develop industry skills both onstage and behind the scenes.